These love-birds are just meant to be! These two Air signs are perfect match for each other. Freedom loving as they are, what they seek most in a relationship is mental peace and that’s exactly they give their partners too! They understand each other’s need for independence and this mutual understanding helps them to grow. Their creativity flourishes in the relationship. Always full of new ideas, both have multiple interests and are filled with energy. They are social and can communicate verbally making their relationship stronger. Sensitivity is what that connects these two Water signs. Empaths by nature, both of them connect spiritually and can understand each other’s emotional needs. While the dreamy Pisces helps the Cancer move towards spirituality, the materialistic Cancer helps the imaginative Pisces realize their dreams into reality. Creativity matures from their union. They might have high expectations from one another but both of them are capable enough to fulfil their partner’s desires. Being extremely practical towards life, these Earth signs Virgo and Taurus can be ideal for one another. Their value for honesty and hard-work keep them on the same page. Commitment is something they take very seriously. They might take a while to get into the relationship but when they do, it’s a forever for them. Once they become devoted towards one another, their relationship blossoms. Their love for material things, concern with possessions and shared values make their relationship a stable one. The two Air signs enjoy a very intellectual and healthy relationship. Both the Libra and Gemini love to communicate and have a wide range of interests. The dual natured Gemini loves to be with the balanced Libra while the Libra enjoys the humour of their Gemini partner. When in love, the two can execute a lot of great ideas if they work together. Their charming, sociable nature adds brownie points to their relationship based on intellectuality. These two water signs demonstrate intense emotional bonding. Both the Scorpio and the Cancer crave for security in a relationship and their emotional needs are required to be understood too. This makes them a great couple. This relationship is all about passion and loyalty. As they give stability to one other, they enjoy a long-lasting fulfilling relationship. Their love for family and domestic life adds beauty to their bonding. The two Fire signs are all of grace and glamour. They are fierce and intense. The Sagittarius and Leo share a heated relationship enjoying and appreciating each other. They cheer for one another and their outgoing nature makes them a fun couple to be around. While the Sagittarius provides philosophy to the Leo, the lion adds grace and charm to their philosophical partner. They radiate a strong energy and when in love, they can achieve a lot together. These two Earth Signs are bonded on the grounds of practicality. Both of them value hard work and their love for material things makes them a great couple. 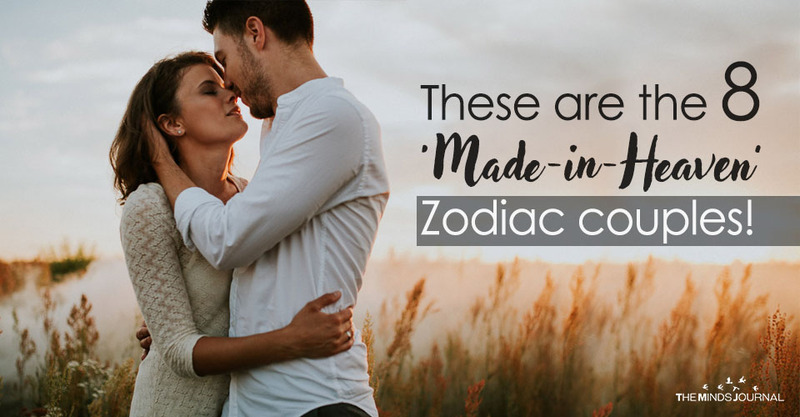 The romantic Taurus adds romance to the boring life of Capricorn while the Capricorn’s hard working nature keeps the Taurus focused on their work. Security is another component which makes their relationship stronger. They love living a luxurious life and work together in maintaining the same.